Today I have Andrew Anzur Clement as my guest. See his post about where he goes for inspiration. The Thag shook her head. The felinoid harrumphed. “Figures.” Then she began thinking out loud. She stopped. Looking behind her, to the empty space off to the right side of the wagon’s seating area. Malka and Liza looked around. Both of them spotted their erstwhile captive at the same moment. The gunfire ceased abruptly, replaced in short order with the quick screams of men and horses. Then silence. The escaping youth was forgotten for the moment. Liza quickly poked her head just over the stack of cages. “Oh, no! Oh, please, no!” For the first time since Malka had known the felinoid, she seemed more genuinely worried than annoyed at their situation; she knew what Liza had seen. “The Urumi,” she confirmed in a quiet voice. Malka untied the sash from around her waist and inserted the brass knob into one of its ends. She listened for one of the dark forms, as it approached her side of the wagon. If there’s one thing I’ve learned from reading fantasy and traveling it’s this: It can be fun and interesting to dive deep into a world that’s totally new, alien and fraught with its own set of conflicts. Those worlds can also exist right here on our own planet. That’s why the fantasy universe of my books is set amid real locations and historical events; I get the inspiration for most of them while traveling to new places and learning myths or histories connected with them. 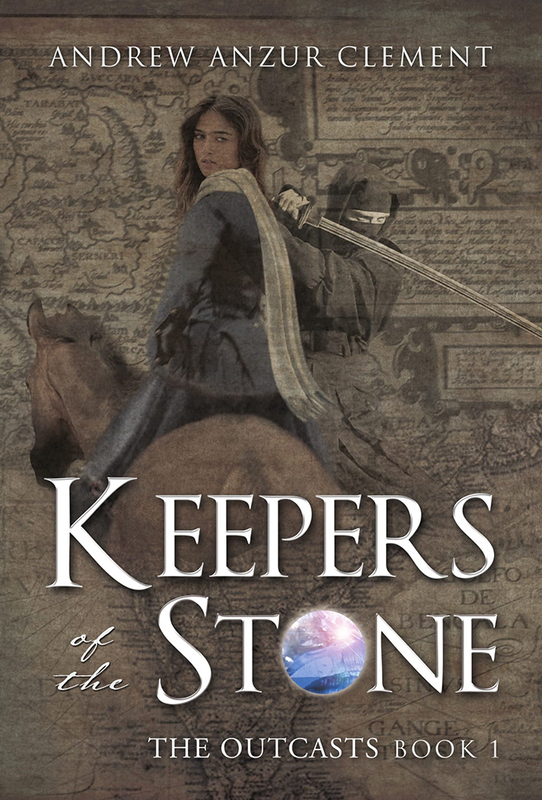 Here are the top five places that helped to inspire the historical/fantasy world that I build in Keepers of the Stone and the sequel I’m currently writing to it: Voyages of Fortune. 1. Lahore & Karachi, Pakistan: Both times I’ve traveled to Pakistan, it’s been like stepping onto a new universe. One with a long history that’s intertwined with the region in general. This has lead to many tense situations that often remind me of feuding sects or alien races. Ones that are simply stranger than fiction and are somehow more compelling because they actually exist. In Keepers of the Stone, the history of the Mughal emperors, who ruled over most of the Indian subcontinent and kept their capital in Lahore, figures prominently in the story of the powerful gem that my protagonists must protect. With the main part of the plot set in the late 19th century, I was also inspired by the colonial rule of the sub-continent and its eventual partition into two separate countries. The conflict-fraught, modern day mega-city of Karachi serves as a prominent location in Voyages of Fortune as well. 2. Poland (and present-day Western Ukraine): It may not seem to be the most interesting of places now, but it’s one of my favorite countries in the world. And what a history it’s had! The ‘chess board of Europe’, at various points in time, has spanned from the Baltic to the Black Sea. or been completely wiped from the map by foreign powers -- with help of its own nobility. This background has a major role to play in Keepers, where I set the acts of real Polish aristocratic families against the machinations of the evil Order of the Urumi: a cult with mystical powers that has existed to serve the devil since shortly after the dawn of time, and partially takes its inspiration from Slavic and South Asian myths. Most of book three of Keepers of the Stone takes place in partitioned 19th century Poland. Without giving too much away, many locations, monuments and buildings turn out to have hidden meanings that point to the final destination and outcome of our heroes’ mystical quest. Târgoviște has two main claims to fame connected with this: 1. It was where Vlad the Impaler held court and 2. It was where communist Romania’s ruling family was intercepted and executed as they tried to flee to the Soviet Union during the collapse of their regime. 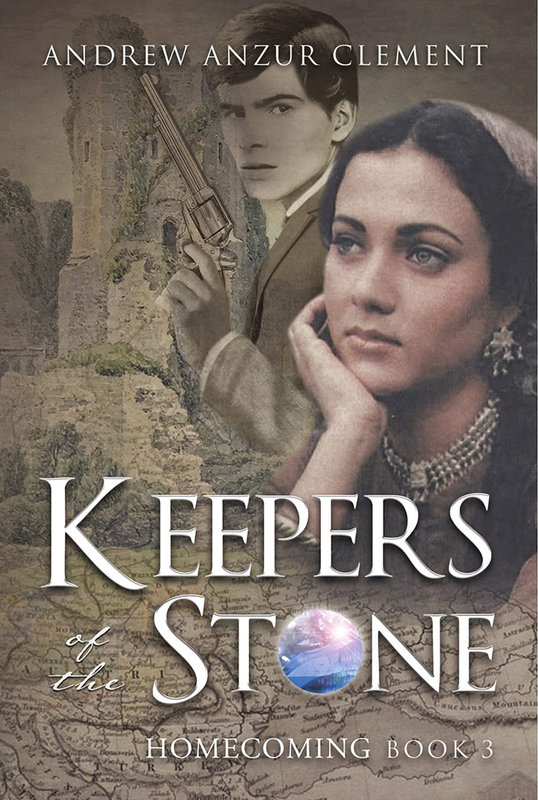 More generally, the time I spent in Romania, which has a large population of Roma gypsies, influenced a major plot development in book three of Keepers, and the back-story of the Roma troop we meet at its beginning. 4. Brussels, Belgium: Ok. I’m cheating a bit on this one. I actually live in Belgium’s federal capital, where everything is a complicated compromise between two linguistic groups that don’t always get along so well. All the streets, train stations etc. have two names, one in Dutch and one in French. I’d never have thought to visit the EU’s main city for inspiration. But, the continent-wide identity politicking that the city seems to embody inspired an entire Keepers’ plot line. Conflicts over the naming of cities and national self-determination causes confusion among the main characters. 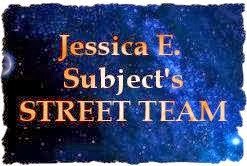 Different place names are used as a sort of code that mystical beings – the leaders of the mysterious Society -- use in an attempt to guide the main characters on their journey without the knowledge of the Urumi’s Dark Order. Andrew Anzur Clement departed his native Los Angeles at the age of nineteen, with a curiosity for far-off lands. He quickly discovered an insatiable wonderlust that has led him to live, work and study in many fascinating places around the globe. 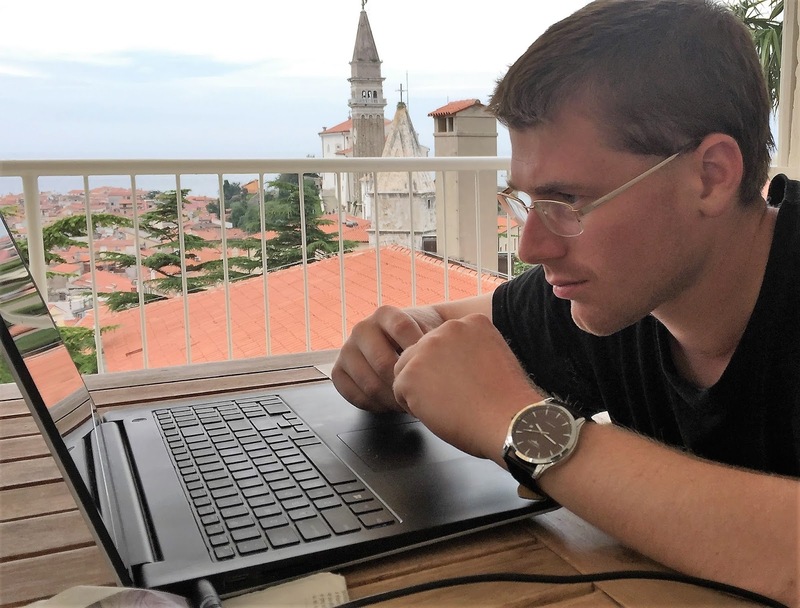 Now in his late-twenties the unabashed opera fan is based in Europe. He continues to travel and read widely, finding new inspiration in the places he discovers. In his ‘other’ life Andrew is an academic researcher, focusing on nationalism and identity formation. 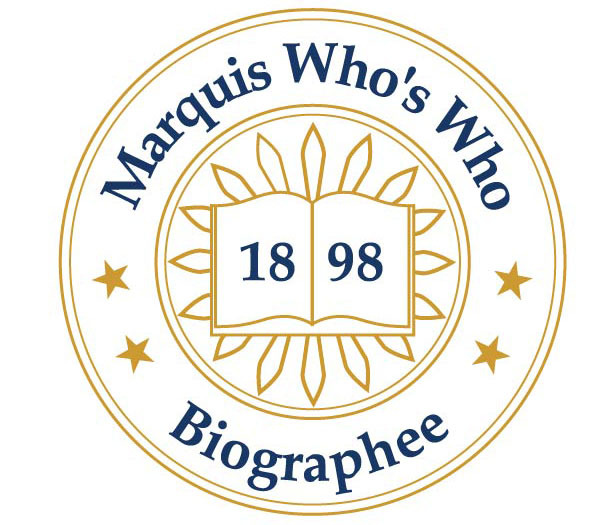 He enjoys including insights from his research in his books and the characters he inhabits. Andrew Anzur Clement will be awarding a $10 Amazon or Barnes and Noble GC to a randomly drawn winner via rafflecopter during the tour. Loved hearing about places you would go for inspiration. Great post. Thanks to Mixed Book Bag for hosting! 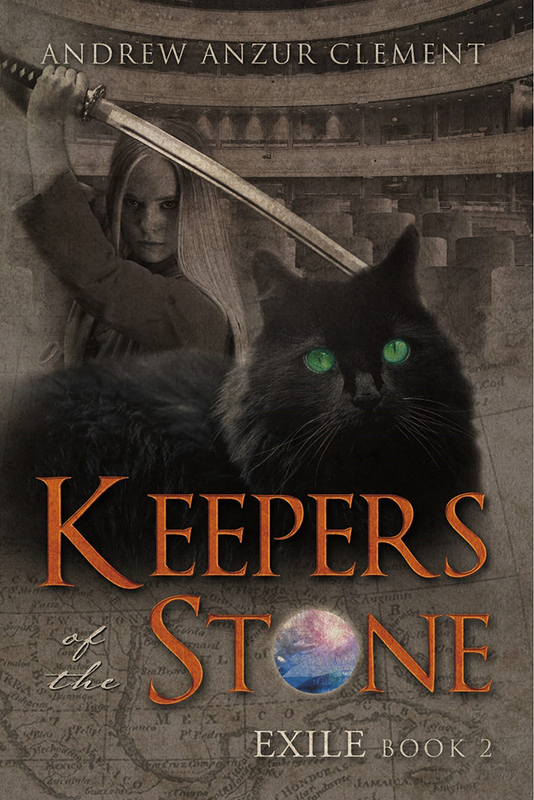 You can get a FREE copy of Keepers of the Stone Book one HERE!